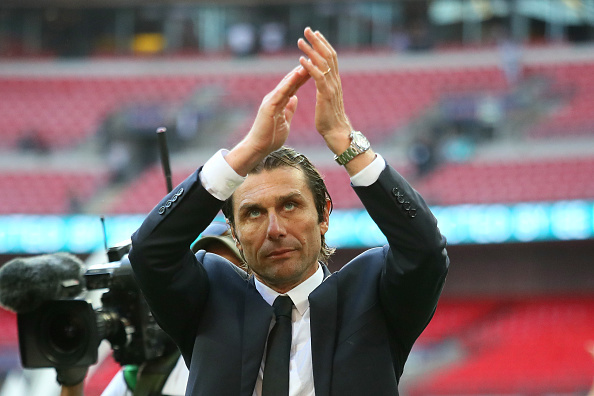 Real Madrid are planning to bring in Antonio Conte to replace Julen Lopetegui as new Head coach, If Lopetegui cannot change Madrid fortunes over the next three games. According to Report, Real Madrid president Florentino Perez has already contacted the former Chelsea, Juventus, and Italy manager Conte about a potential move to Santiago Bernabeu. Real Madrid are in a stretch of four games without a win, including a stunning 3-0 loss to Sevilla and a 1-0 Champions League upset at the hands of CSKA Moscow, and they went into the international break on the back of a 1-0 loss to Alaves. That four-game run was Madrid first without scoring since 1985, and their form has seen Lopetegui come under increasing scrutiny. But, Madrid are on fourth position on Laliga table still just two points behind La Liga leaders Sevilla, with rivals Barcelona and Atletico Madrid also having endured poor starts to the season. Julen Lopetegui side play Levante this weekend and Viktoria Plzen in the Champions League in midweek, before the first El Clasico of the season next Sunday, October 28. A loss to Barcelona in that encounter could spell the end for the Spanish manager, who was only hired this summer after the shock resignation of Zinedine Zidane.